The population of the United States is demographically getting older as new advancements in technology and medicines as allow the elderly to live well beyond their life expectancy. Unfortunately, many family members lack the capacity to provide the needs of senior citizens and instead entrust that care to for-profit nursing facilities and assisted-living homes throughout Minnesota. However, the St. Paul nursing home abuse & neglect attorneys at Nursing Home Law Center LLC has also seen a significant rise in the number of cases involving neglect, abuse and mistreatment of Minnesota’s most vulnerable citizens. Medicare releases information every month on all nursing homes in St. Paul based on the data gathered through surveys, investigations and inspections. The patient-protecting agency found serious violations and deficiencies at twenty (25%) of the seventy-nine St. Paul nursing homes that led to preventable resident harm. If your loved one was injured, abused, mistreated or died unexpectedly from neglect while living in a nursing facility in Minnesota, your family has legal rights to monetary recovery. We encourage you to contact the St. Paul nursing home abuse & neglect attorneys at Nursing Home Law Center (800-926-7565) today to schedule a free, no obligation case evaluation to discuss a financial compensation lawsuit. Many families face the horrific and heartbreaking reality that their loved one is a victim of abuse or neglect while residing in a nursing home. Many of these cases involve dehydration, malnutrition, pressure sores, life-threatening infections, mistreatment, resident to resident assault and unsanitary conditions. Nearly 300,000 residents live within the St. Paul city limits, of which nearly 27,000 are 65 years and older. This number has risen substantially in the last few years as many elderly individuals choose to remain in Hennepin County throughout their retirement years. With the increasing population throughout the Minneapolis metropolitan area, the cases involving abuse and neglect are likely to increase in the years ahead. Our Minnesota nursing home attorneys recognize that any form of elder abuse and neglect is inexcusable. We recognize that the only way to ensure that elder abuse is stopped in its track is to confront the abusers and take every step possible to ensure they are held accountable for their unacceptable actions. In an effort to provide assistance, our Hennepin County elder abuse attorneys continuously examine, review and assess opened investigations, filed complaints, safety concerns and health violations against nursing facilities all throughout the state. We gather this information from national databases including the federal government website Medicare.gov. By publishing this data, we hope to help families who must decide where to place a loved one who requires a high level of quality care. Our Hennepin County personal injury attorneys have compiled and published the list below detailing all of the St. Paul area nursing facilities that currently maintain below standard ratings compared with other homes nationwide. In addition, we have posted our primary concerns that details specific cases at these facilities that have harmed one or more residents through negligence, abuse or mistreatment. On a second hire, another employee was hired on 08/04/2015 with the first day of work beginning that day and the first time working alone four days later on 08/08/2015. However, it was not until 11 days later on 08/19/2015 that the resident signed off on receiving the Abuse Prevention and Identification Training. The deficient practice was noted by state investigator after 30 interviews and observations “occurring on 12/20/2015 from 2:00 PM until 7:30 PM and again on 12/29/2015 from 8:00 AM until 11:00 AM.” These observations and interviews involved “residents’ rooms, toileting areas and bathing areas that were unsanitary and malodorous areas identified. The state survey team requested policies and procedures for auditing deep cleaning and general cleaning of the resident’s bedrooms, window treatments, bed frames, heat registers, vents, bathing/tub rooms and toileting rooms. However, no policies or procedures were given to the survey team at the conclusion of the survey. 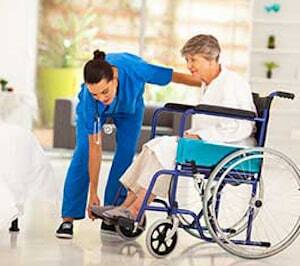 Our St. Paul nursing home neglect lawyers recognize that any failure to maintain a clean, safe and sanitary environment could place the health and well-being of residents, visitors, staff employees and others in jeopardy. The deficient practice by the cleaning staff, Maintenance Director and Administrator at Hayes Residence might be considered negligence or mistreatment of the residents.